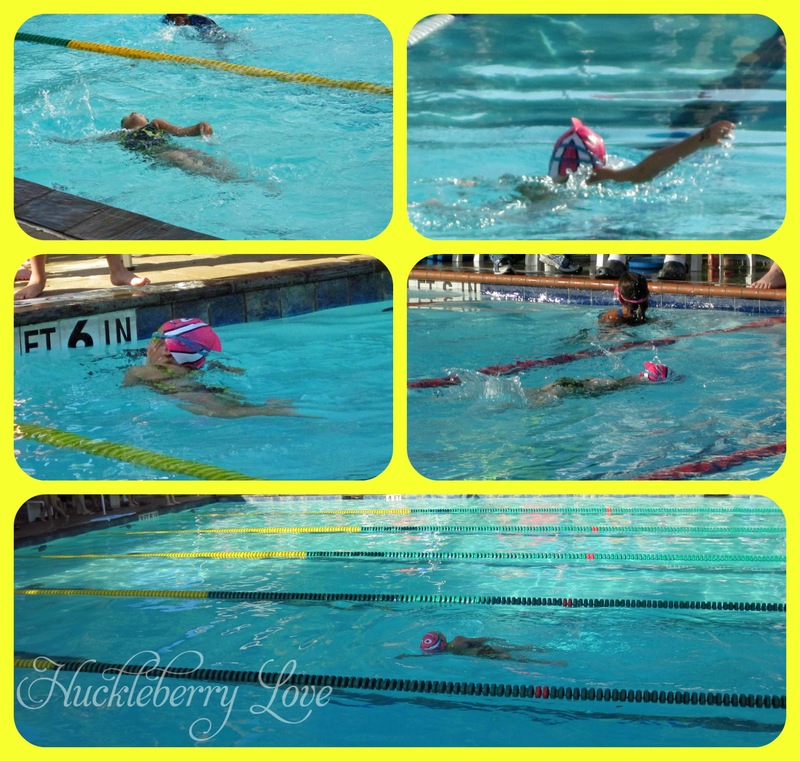 Huckleberry Love: Swim Team: A Great Introduction to Healthy Competition! 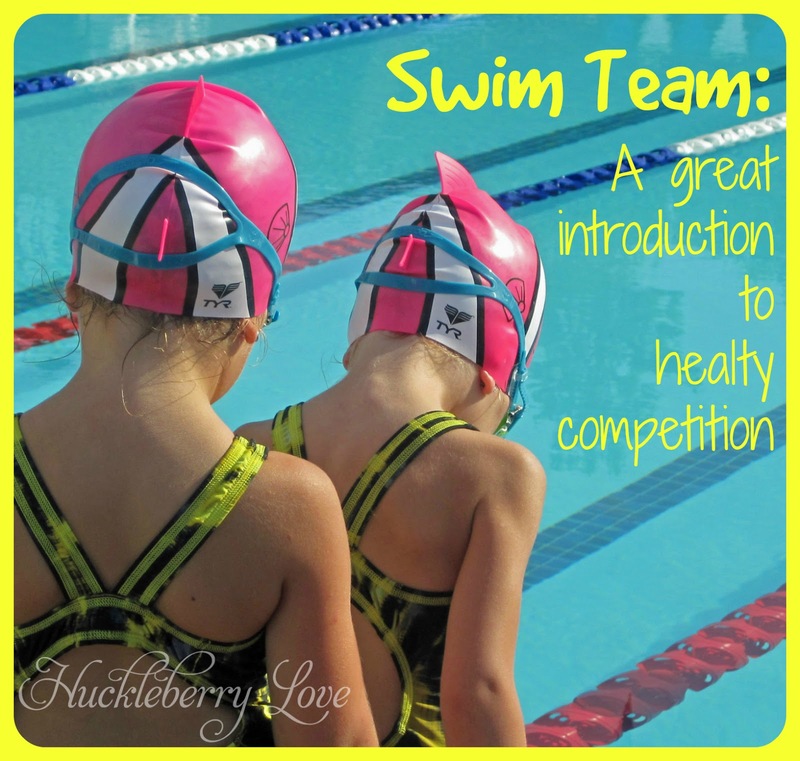 Swim Team: A Great Introduction to Healthy Competition! We are those moms. The sometimes too loud, overly involved, push their kids to be their best, moms. We cheer, we coach, we push and we encourage. Why? Because we believe that a bit of healthy competition can lead to very positive growth for our kids! Jaydn and Ella are swimmers. Ever since they were little, they were always at their happiest in the water. Ella and Jaydn's first swim. 4 months old! 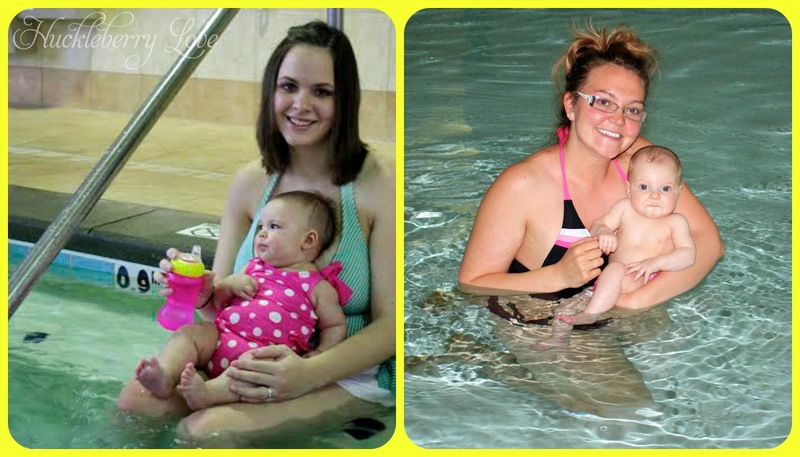 Starting swim lessons at two may seem early for some, but for them, it was just a natural progression. 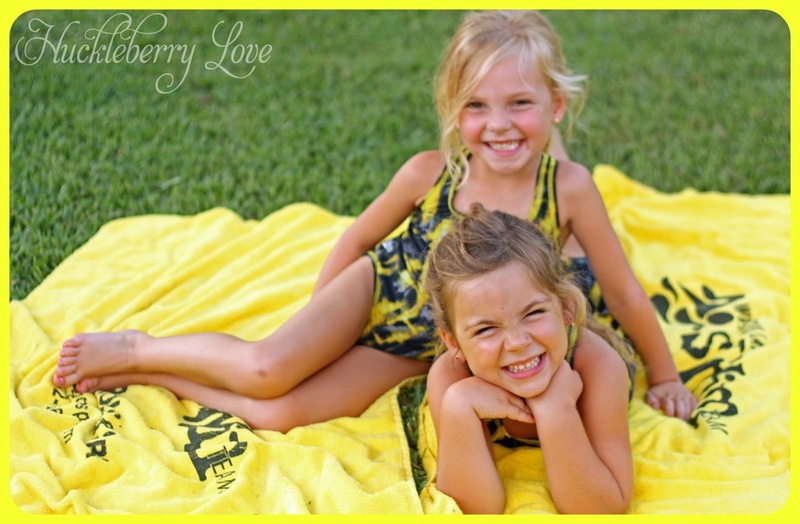 And having their amazing coach, Miss Nancy only drove their love for swimming and the water even more. 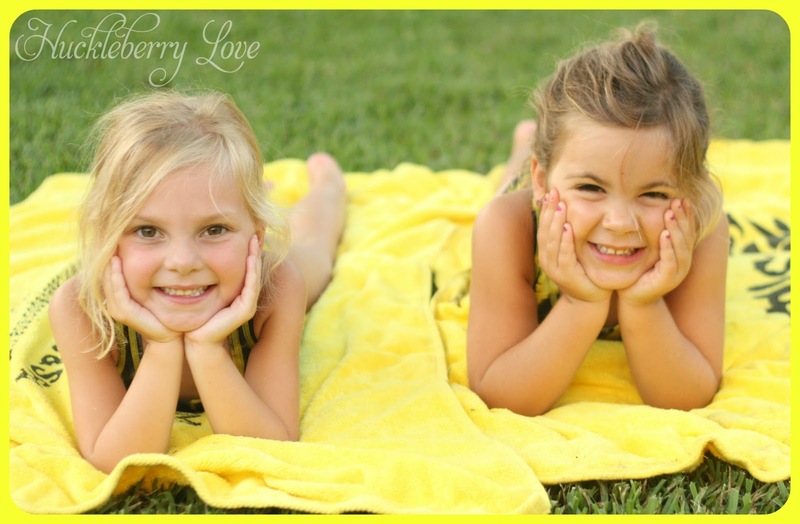 When she suggested that the girls join a swim team this Summer, we thought long and hard about whether they were ready for it (we didn't want to set them up for failure, after all) but in the end we went for it and, by far, it is one of the best decisions we have ever made. 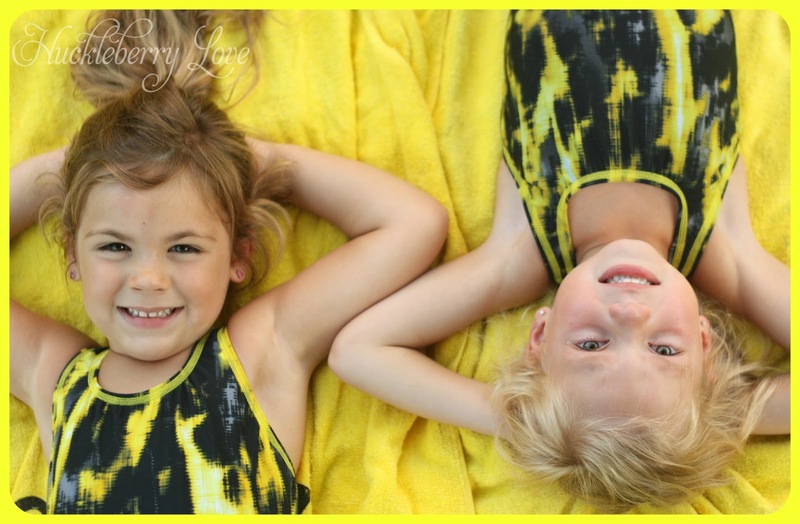 For those of you who are unfamiliar with Summer swim team, it is a two and a half month whirlwind of practices everyday (Monday-Friday) and a handful of pretty competitive, pretty overwhelming (for a four year old) swim meets. And we both agree that it is excellent for the girls. 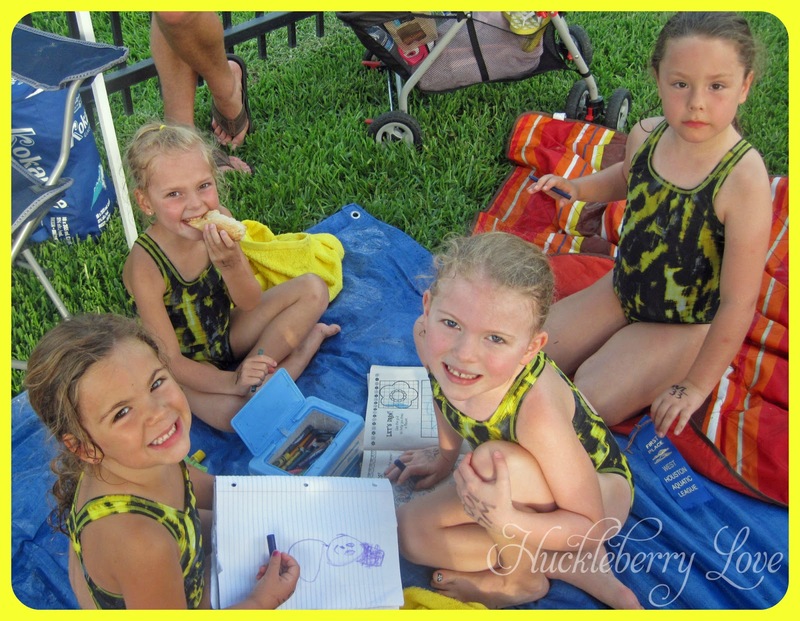 Each swim meet consists of three events for each 6 & under swimmer: a 4 person freestyle relay, an individual freestyle swim and an individual backstroke. It requires commitment, independence and drive and introduces what it means to be part of a team. And now that the girls have made the commitment, (yes, they were involved in the decision to join) we expect them to always try their best. And we will always be right there on the sidelines cheering them on and offering some instruction along the way. "Fast kicks, big arms, side breaths" are a lot for a 4 year old to remember after all. ;-) But the moment they want to quit or get 'lazy' and aren't trying anymore, we will also be there to remind them of the commitment they made to their team and themselves. They by no means have to be the best (they definitely aren't taking home all first place ribbons), we just expect them to always try their best. And on top of everything, they are having a blast and making tons of new friends! So in a world where competition amongst kids has negative connotations, we've chosen to embrace the positives. We are by no means experts when it comes to the effects of healthy competition on kids, but we hope that our kids take away the following positive outcomes. We hope they develop a sense of pride and self esteem. Even the youngest of toddlers know when they've done something well and love to be praised for it. Our girls are very proud of themselves and their ability to keep up with all of the 5 and 6 year olds in the league. We hope that swim team encourages them to strive for their highest potential, which sets them up for adulthood and the workplace. We want to improve their 'teachability', which helps them realize that they must not only accept instruction, but also apply it. And, one of the biggest positive outcomes, that we hope the girls gain, is a sense of independence, after all, they're the only person getting them across that lane. And it applies the opposite was as well, if they choose to not participate or try their hardest, they can only be disappointed in themselves. What are your experiences with competitive youth sports? What positive outcomes have you seen? Well done to them. 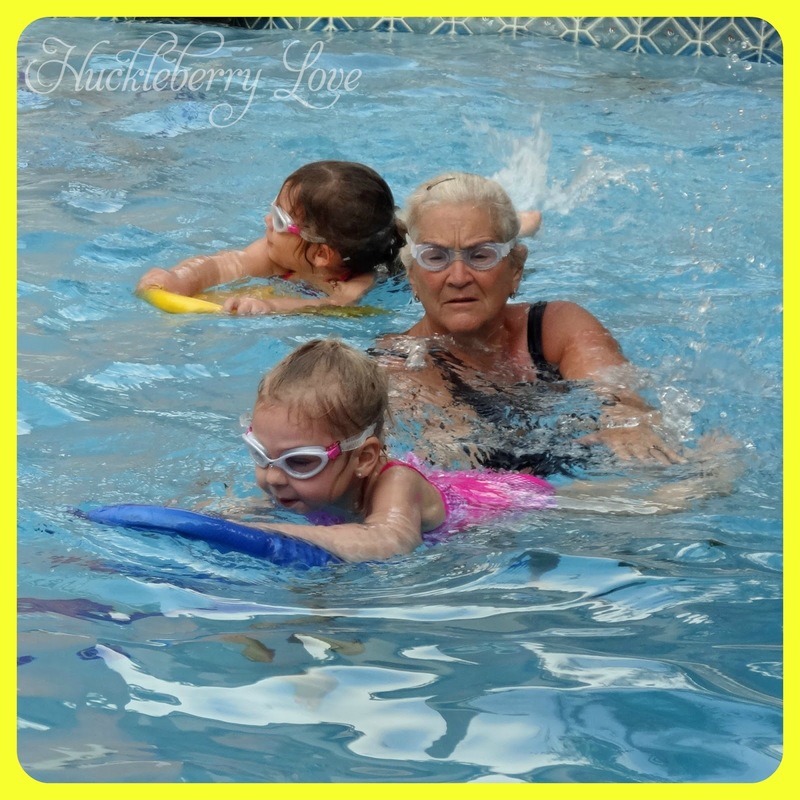 We are working on the progression from regular lessons to liking and spending other time in the pool.